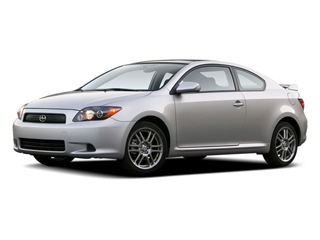 The 2009 Scion tC makes a strong appeal to young buyers, with its sporty yet economical performance and an appearance--inside and out--that feels more sophisticated than other vehicles in its price range. Many of its finer details, such as seating comfort and refinement are in a class above. And for those with a little extra money, some of the features and appearance cues of a luxury sport coupe can be added on. 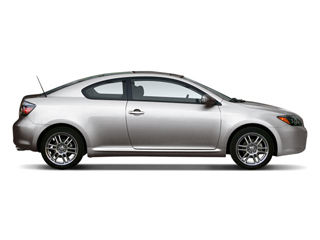 The 2009 Scion tC is still powered by a single engine option, a sporty 161-horsepower, 2.4L 4-cylinder with Variable Valve Timing with intelligence (VVT-i). It powers the front wheels through either a 5-speed manual or 4-speed automatic transmission. The VVT-i aids in responsiveness throughout the rev range as well as fuel-efficient operation. The tC is certified as an Ultra Low Emission Vehicle (ULEV), and with the manual transmission, the tC returns 20 mpg city, 27 mpg highway. 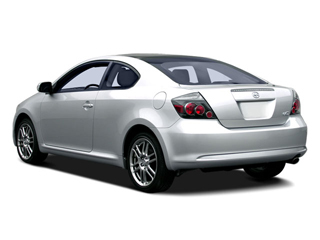 The tC offers a range of comfort and convenience features compared to other sporty coupes in its price range. Well bolstered front sport seats are standard; in back, the seatbacks recline to 45 degrees and can adjust to ten different positions altogether. They're also split 60/40 and fold forward to an almost-flat cargo floor that is about 8.5 feet long. Tie-down hooks are provided for cargo convenience. Throughout the rest of the interior the tC has numerous storage spaces, including a two-tiered center console and CD and cell phone holders. Safety-wise, the tC comes with front seat-mounted side airbags, a driver's knee airbag, and side-curtain airbags that extend to front and rear occupants. Four-wheel antilock disc brakes are standard, along with electronic brakeforce distribution, and the four-wheel independent suspension with double wishbones in back helps give responsive handling. Scion simplifies tC ordering by providing an extensive standard equipment list and only a transmission option to consider. That standard equipment list includes air conditioning, cruise control, a panorama glass moonroof, auto up/down power windows, power locks and mirrors, keyless entry, an audio cover and a 160-watt Pioneer CD sound system with iPod control, steering-wheel audio controls, and an auxiliary input. A range of options are geared toward customization and include various wheel, trim, and appearance add-ons, along with an in-dash navigation system and a premium sound system that includes the capability to play "skins" and play four- or eight-second clips. Most noteworthy is the Toyota Racing Development (TRD) line of performance equipment, including suspension kits, a high-performance clutch, quick-shift kit, and sportier-sounding exhaust system. Seven-spoke, 18-inch EMX alloy wheels with Pirelli PZero tires are also offered for an especially sophisticated look.